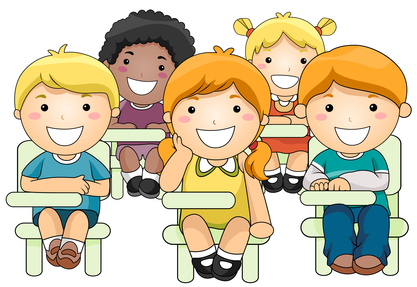 Classroom size has been a hot topic for some time in the education system. For the past several years, schools have made an attempt at reducing the number of students in each of our classrooms. So what is behind these changes in class size? Many say that having fewer students in the classroom really does not affect academic achievement. Rather than focusing on class size, we should be concentrating on improving the quality of our teachers and the resources they are using. In addition, more classrooms with fewer students require more physical space, more teachers, and more resources to fill those classrooms. Ultimately, opponents of reducing classroom size say it is not cost effective. On the other hand, proponents claim that class size matters for a number of reasons. Smaller classrooms mean we are relieving a safety concern. If there is an emergency, are we equipped to handle the situation while still maintaining a safe environment for all of our students? Chances are that with fewer students in the class, we will be better prepared. Furthermore, students in small classrooms receive more individualized attention from their teachers. More student and teacher interactions means there are more positive learning experiences. Research shows that this leads to higher test scores, higher attendance, and higher percentages of our students graduating high school and pursuing higher education and better careers. (Schazenbach, Diane, “Does Class Size Matter?” National Education Policy Center, February 2014). I’d like to point out that there is a difference between having a small classroom and having a low student-teacher ratio. We are specifically talking about having fewer students in a classroom, as opposed to sticking another adult in the classroom. If reducing classroom size is your goal, then it is important to pay attention to the factors mentioned by those who oppose the idea. Having ample physical space and filling the classroom with good resources and quality teachers are extremely important. Does class size matter? It is safe to say that the gains outweigh the costs. Furthermore, small classes offer students from lower socioeconomic backgrounds an opportunity to bridge the gap. For those who have the required resources, reducing class size is definitely a worthy pursuit.